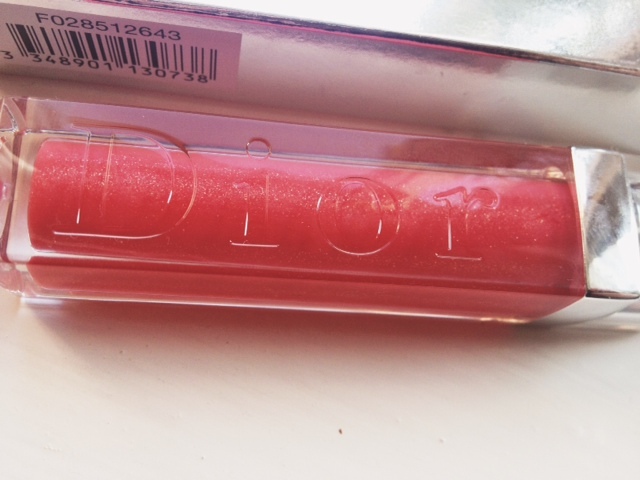 Dior Addict Gloss in Diablotine Review. 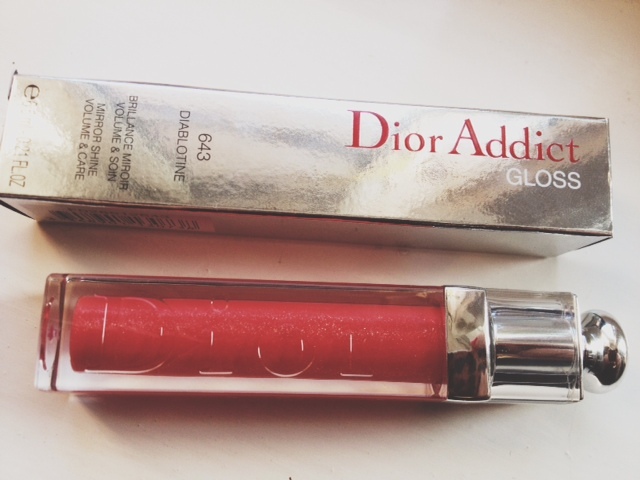 My mama recently went on a business trip over to Holland and brought back me and my little bro some goodies, and mine was this gorgeous Dior Addict Gloss. I am a huge fan of Dior makeup, I think the brand is ridiculously amazing from their clothes, to perfume and especially makeup. 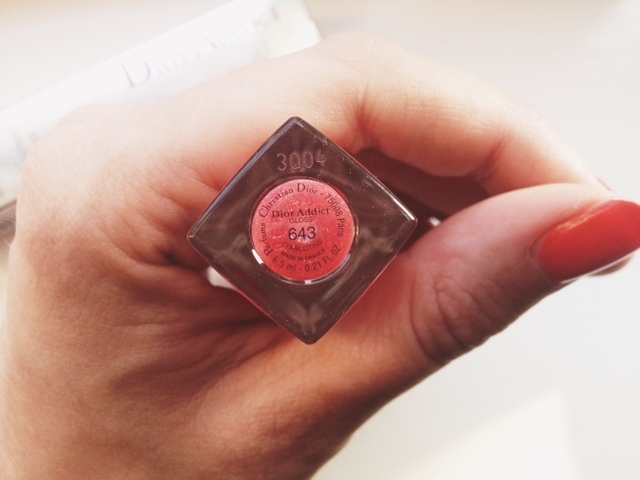 I have used the Dior Addict Lipsticks before (you can read a review of them here) and they have quickly jumped to the top of my favourites list. This colour is absolutely gorgeous, it's kind of a coral/orange which I am obsessed with at the moment so thank you for picking this mam! 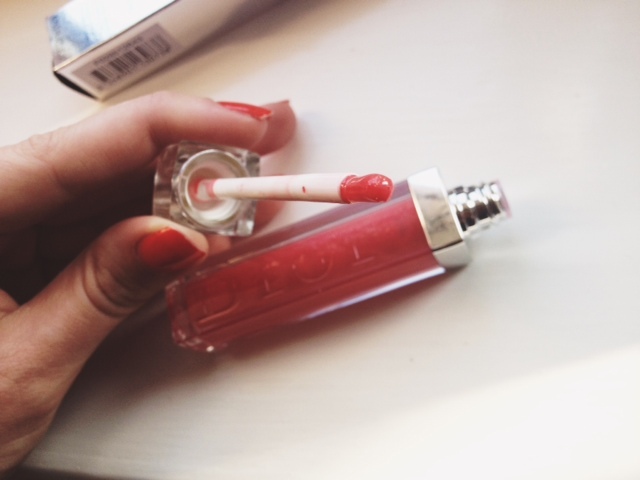 It has shiny particles, which make your lips look really plump and moisturised which is a look I love in the summer, and the colour will look amazing with a tan. By the way, anyone living in England, WHERE IS THE SUN?! Has someone stolen it this summer and decided we need a 12 month Autumn?! Because that is what it feels like and I'm finding that I am resorting to my UV massager more and more just to try and keep a little bit of warmth coming into my body and avoid getting SAD. Anyway, if you are living somewhere with proper seasons, or are lucky enough to be going on holiday this year, this gloss is a great buy. As I am also a sucker for nice packaging, the glosses and lipsticks have tick all the boxes in terms of colour, pigmentation, effect and packaging. As they are quite pricey, it is a luxury buy for me but I can see that this can be quite an expensive habit as I keep spotting more and more colours I want... 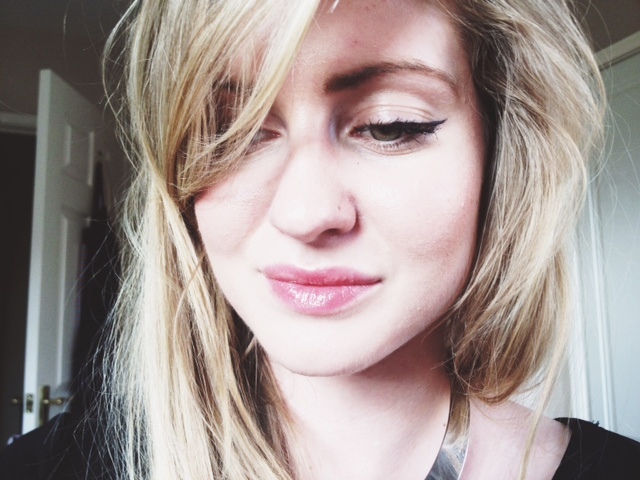 I might start buying lottery tickets to sponsor my love for Dior Addict lip products.